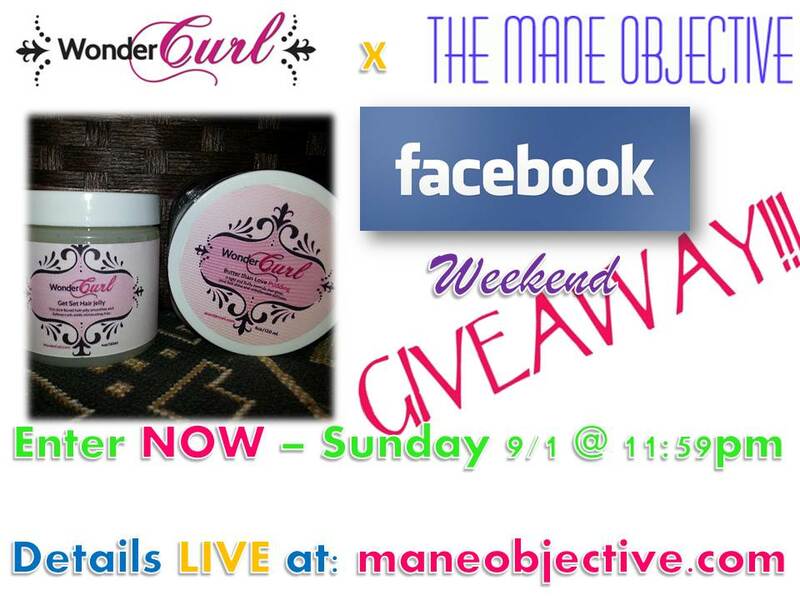 The Mane Objective: Giveaway: WIN Wonder Curl Products THIS WEEKEND!!! Giveaway: WIN Wonder Curl Products THIS WEEKEND!!! That's right folks! It's giveaway time AGAIN! If your lucky number wasn't called for the Curlformers or Obia giveaways, no sweat! Wonder Curl is here to save the day! This weekend, starting RIGHT NOW, enter to win your very own awesome duo of Wonder Curl products - Get Set Hair Jelly + Butter Than Love Pudding! Yup! The same duo that gave me AMAZING 4 day hair! The details are simple. All you have to do is like The Mane Objective AND Wonder Curl Facebook pages. Click the widget below to enter! Or - like the pages manually by visiting http://bit.ly/17mn3uQ to enter! Super easy, right? You have until Sunday, September 1st at 11:59pm to like BOTH pages. Winner will be announced on September 2nd -- Labor Day!